617-864-2100 Alden & Harlow is a subterranean restaurant that serves creative New American fare & cocktails in a rustic ambience.Located at 40 Brattle Street, Alden & Harlow serves authentic American food in a subterranean, modern and comfortable restaurant. The place is always lit and lively withgathering of family and friends. Chef Michael Scelfois a known face in this cozy kitchen. He prepares delicious food that honors tradition of place in its quality. Troy South End, 264 E. Berkley St., BostonArea Four is a cafeteria that caters to the needs of Cambridge tech crowd with consistently excellent wood-fired pizzas and salads. They also serve croissant-crumb-topped mac ’n’ cheese, along with an adjacent high-styled coffee shop. 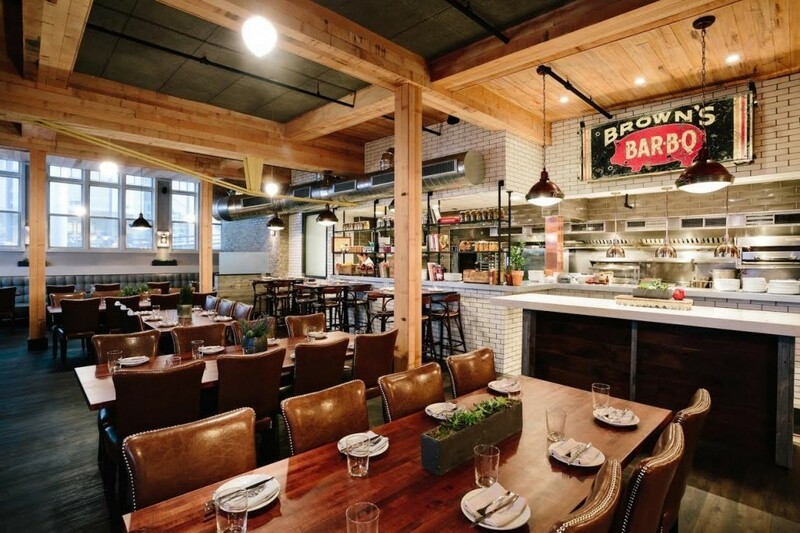 This ’60s pizza parlor has got a great blend of rustic charm and modern amenities. The sweeping windows and long tables are perfect for meetings and casual, back-of-iPad collaboration. The three-course meal at Area Fourstarts with the “Kitchen Sink” salad tossed with fontina and roasted onions. Do not forget to order the sausage-and-banana-pepper pizza for the main event. (617) 585-9575 Astais a great unorthodox special-occasion restaurant that offers appealing, unpredictable dishes worth experiencing.Their three-course menu is the homiest of the options thatbegins with a rich, silky mushroom soup enlivened with curried crème fraiche. They also offer omelet with crispy duck confit, tarragon, Gruyere, and chervil.In dessert you get a long, skinny piece of coconut cream pie with velvety custard inside, crunchy toasted coconut and espresso dust outside. Their eight-course menu highlights: razor clam with parsnip puree, duck breast, “after the storm” seaweed pasta, citrus with brown butter vinaigrette. B&G Oysters is a cozy place with neighbourhood vibe, friendly service andfresh oysters from both coasts. Therestaurant offers seasonal seafood dishes, New England classics including lobster roll, and a great wine list created by Executive Wine Director Cat Silirie. B&G Oysters has bagged many awards and appreciations over the years for its food and wine program from publications including Food & Wine, Boston Magazine, and The Boston Globe. The Bancroftoffers delicious food in a stylish restaurant. The place is a great blend of urban sensibility and the classic American steakhouse that brings a dynamic dining experience to Burlington.The restaurant offers farm-fresh dishes & huge bar pouring craft cocktails.Bancroft feels like a Gatsby-era chophouse of yorewith high-end touches like enormous Oriental rugs, Carrara-marble countertops, Parisian flea-market finds, and even an Andy Warhol room. This entry was posted in Restaurant by BostonAirportExpress. Bookmark the permalink.